Hey gang, Valkor here. In just over a month, Avengers: Endgame releases and it will completely rock our worlds. I know this because reasons that's why. But until then, we have one more film that leads into Endgame – Captain Marvel. Prior to the film's release, I wasn't at all hyped about it. However, after sitting down and giving the film ago, I have to say I was impressed. Watch out for a few spoilers, though I don't feel this is a spoilerish type of film. 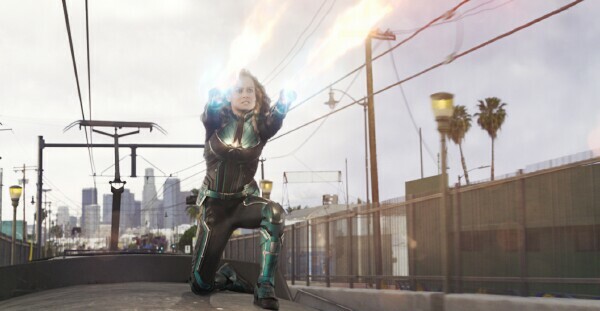 In Captain Marvel, we follow the past and present exploits of Kree fighter Vers (Brie Larson). When we first meet Vers, she's being trained by her commander Yon-Rogg (Jude Law). Moments after, they're given a mission to retrieve a hostage. The whole thing was a setup by the Skrulls with Vers getting captured and mind probed, searching deep into her memories ultimately coming up with a name “Lawson”. When Vers awakens, she escapes and ends up on planet Earth (C-53). And she's not alone as four Skrull soldiers are hot on her trail, complicating matters with their shape-shifting ways. Fortunately, Vers will befriend S.H.I.E.L.D. Agent Nick Fury (Sam Jackson), learn about her past, and also learn that her enemy isn't really her enemy at all. Look for a sweet cameo from Annette Benning, the return of Coulson (Clark Gregg), a somber Stan Lee cameo, and tons of Easter eggs and 90s nostalgia throughout. Now, I'm leaving out quite a bit of story with Captain Marvel, but at the same time, I don't think there's anything about the film that will totally “blow you away” (other than the action). Sure the film has its shares of twists, and some will surprise you. While others give you that “ooooo, aaaaahhhhh” kind of response. And as always, never leave an MCU film during credits as you're given two post-credit treats. Totally worth it! But is the film ultimately worth checking out? Going into Captain Marvel, I have to say that I wasn't feeling it; actually, I thought this would have been another MCU dark spot next to “Thor: The Dark World”, so my expectations were pretty low. However, after watching the film, I have to say I walked away rather pleased. The story wasn't perfect, but it wasn't shoddy either as it was the sweet blend of an origin story, buttloads of action, and a hefty dose of humor that made this film an enjoyable treat. And speaking of action, it's the second half that's where it's at as you'll be in for an intense ride until you get to that bit of a twist towards the end. What I really enjoyed most about Captain Marvel is spotting all the easter eggs or connections with the past MCU films. But the biggest question that I have to ask is: has Fury used the device given to him by Danvers prior to Infinity War? I'd like to say yes, but she never made it back in time, which would explain why she looked so pissed at the end of the film. Moving on to performances, I'd say there wasn't a subpar actor in the bunch. And everyone who took part – even the cat Goose made Captain Marvel a fine piece of geek entertainment I'd enjoy watching again and again. My only gripe going with Captain Marvel was Brie Larson playing the main role. 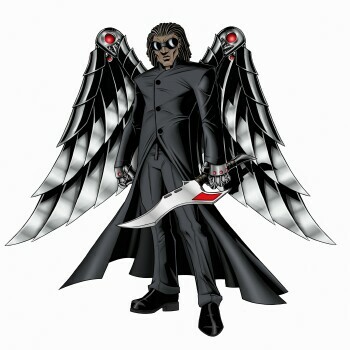 I felt the character could use someone that would have brought more “edge” to the table. After the film, I still feel Brie is the weak spot. No hate because if there's a Captain Marvel 2, I will be there. I'm just saying, I'm not her biggest fan. Then again, maybe watching her in Endgame will turn me around. 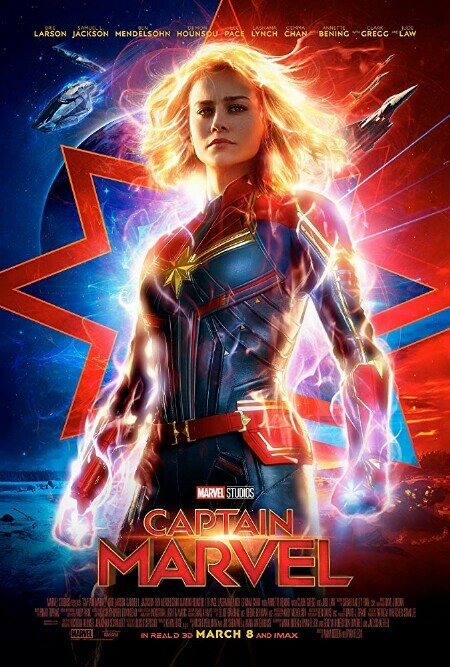 Captain Marvel is still making the theatrical rounds and it's worth seeing again if you've seen it already. And if you haven't and you're a fan of all things MCU, then don't waste any more time and go see this film asap! It has a solid story that's filled to the brim with action and humor. I highly recommend it. So, out of TOV 5 stars, I'm giving Captain Marvel a solid 4.